One of our immigrant investor clients, John Smyth, recently announced his new company website and initiative to expand a property services business. Mr. Smyth earned a degree in agricultural engineering and participated in a MBA management program. Then, Mr. Smyth co-owned two engineering distribution and services businesses for 14 years in key sectors for food, whisky and power generation. The businesses grew from start-up to earning multi-million dollars in revenue. He plans to use that experience to build growth into his investment in the United States. He chose to invest in Florida because of the tremendous opportunities present in the area that will allow the business to grow in the property sector. The company’s mission is to be the most trusted provider of exterior cleaning, maintenance, repair and renovation in Florida. 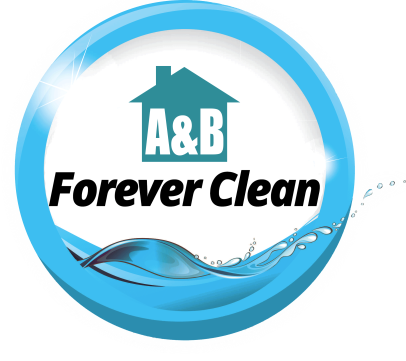 Recently, the company launched its Forever Clean Program. 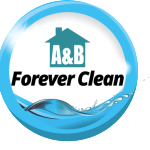 This program provides an annual service for a low fixed monthly fee in exchange for a comprehensive cleaning and maintenance program that is specifically designed for each property owner. A & B Property Services was built on exceeding customer expectations, adding value, and building long-term and trusting business partnerships. Their goal is to develop a one-stop shop approach, where clients will be provided with a dependable turn-key home maintenance solution. 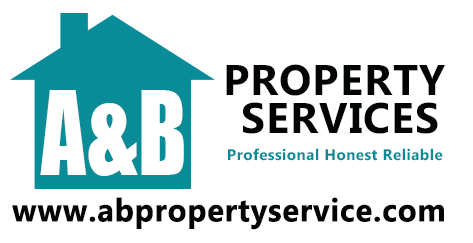 The business provides Property Maintenance to residential and commercial properties in Lakewood Ranch, Sarasota, Bradenton, North Port and Venice. Founded by a Florida immigrant, LED USA is a new Florida enterprise that provides commercial lighting solutions with the goal of reducing costs and environmental impacts for your building. 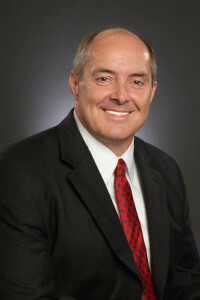 ImmigrationSarasota.com recently spoke with Ric Robideau of LED USA to learn more. Discover LED USA on Facebook. Click on the image. The company was formed in April 2014 by Giovanni Giannini, an architect from South Africa. Ric, an electrical engineer who’s worked on projects for Tervis Tumblr and other major corporations in Florida, is the projects manager. Ric and Giovanni noticed a problem. Commercial building owners were wasting money on outdated and inefficient lighting (lighting costs can reach up to 70% of a building’s electric bill). Moreover, owners were going to have to switch their lighting eventually as the government is actually phasing out incandescent and fluorescent lights. But there were few providers with the expertise and business savvy to properly help them. They decided to become the solution. For their first project, they took on the landmark Palm Towers in downtown Sarasota. Palm Towers was using a combination of fluorescent and incandescent lighting. With a free energy audit, LED USA found that the building could save $.9 per lightbulb. In addition, LED USA found they could introduce smart technology to further lower energy costs. They estimated the retrofit would cost $60,000 but the savings would begin immediately; $39,000 in savings per year to be exact. In only 2.1 years the savings would pay for the initial investment. What’s more, LED lights have a warranty of 10 years so the savings would continue. By the end of 10 years the building should save a net of about $312,000 on its energy bills. LED USA has also performed an energy audit on a nearby restaurant. The bill for that retrofit would come to $3,000 but the savings would start at $4,300 per year; producing an even quicker return than the Palm Towers. Today, LED USA is quoting companies on projects of up to $250,000. LED USA rests on the quality of its products. 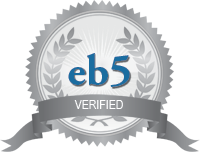 They offer GE or Cree LED lights, which meet the highest underwriting standards. There’s no compromise on the amount of light. In fact, some would argue that switching to LEDs improves the light quantity and quality in a building, as these before and after photos show. LED USA is also a LEED qualified lighting provider, the most widely-recognized environmental vetting a company can achieve. Financing is available for projects up to $3 million. Even with financing charges, companies still see positive cashflow after their building starts saving energy. For more information feel free to contact Ric (ric_ledusa@verizon.net) or Giovanni (LEDGiovanni@verizon.net). REMINDER: GRANTS FOR TRADE AND LOGISTICS TRAINING are still available! Hillsborough Community College (HCC) has paired with Workforce Florida and Cross Border Partners using a Trade and Logistics Grant to provide you and/or your staff training on various trade topics. Grant funding is available to support training across a wide variety of topic areas from market selection, export documentation and compliance, tariff codes, legal aspects, etc. And, the programs can be tailored to individual company needs. These programs are available to all Florida for-profit companies that have been in business at least one year and are involved in any export-related activity. The grant generally covers 75% of training costs. Cost: $120. Includes 3 modules, 3 textbooks and valuable handouts. Description: Training modules run Feb. 13, 20 & 27. Includes: INTRO TO INTERNATIONAL TRADE – Feb. 13; DEALING WITH YOUR EXPORT MARKET – Feb. 20; EXPORT DOCUMENTATION AND COMPLIANCE – Feb. 27. When: February 12 & February 13, 2014 from 8:00 a.m. to 4:30 p.m. Cost: $500 for two day seminar, $275 for one day, and includes materials, continental breakfast and lunch. Description: This seminar will provide an in-depth understanding of the transition of items and export transactions from the USML to the CCL. Topics will address: realignment of the control lists, Commerce Control List order of review, the new “600” series, definition of “specially designed,” and license exceptions. The Technology Controls seminar will focus on the regulatory requirements relating to technology and software, including what is considered an export or re-export of technology or software; what technology and software is subject to the EAR; how to determine the Export Control Classification Number (ECCN); what license exceptions are available; and the unique application requirements of technology and software. BIS technical and policy specialists will also discuss important export control issues that may arise in the employment of foreign nationals and for foreign items incorporating, or produced from, controlled U.S.-origin software and technology. Presenters will include senior policy, regulatory, and licensing specialists. Description: Whether you are doing business or planning to with Russia or another Customs Union country, this webinar will brief you on the new customs union regulations and related technical standard changes. Description: As of April 5, 2014, new export requirements will be implemented that amend the AES regulations published in 2008. This Export Compliance Seminar is an all-day program where officers from the Department of Commerce/Census will provide training on export filing requirements. Description: South American regional conference preceded and followed by one-on-one business appointments with pre-screened potential buyers, agents, distributors, joint-venture partners or other key contacts. Description: Caribbean regional conference followed by one-on-one business appointments with pre-screened potential buyers, agents, distributors, joint-venture partners or other key contacts. What is estate planning and why do immigrants need it? Immigrants often come to Sarasota for the investment opportunities and the relaxed atmosphere. For some, their peak earning years are behind them and they are looking to retire or semi-retire. Canadians, Germans, and UK citizens regularly fit this category. We are more than willing to help our clients plan the immigration strategy that works best for them, but we often find that they need assistance in other legal matters as well. For immigrant investors, one of those matters is estate planning. We are not experts in estate planning so we recommend our clients go to other attorneys, such as Bradley Magee. Attorney Bradley Magee is a trusts and estates lawyer in Sarasota. He recently provided us with some of the information he gives to his clients and we decided to post it on immigrationsarasota.com as a resource for immigrants who may need these legal services. For more information on these legal matters please contact Mr. Magee: (941) 918-9894. Estate planning is the process of anticipating and arranging for the disposal of an estate during life. Estate planning typically attempts to eliminate uncertainties over the administration of a probate (execution of the Will after death) and maximize the value of the estate by reducing taxes and other expenses. Guardians are often designated for minor children and beneficiaries in incapacity. An important consideration for any foreign person contemplating immigration to the US is that after establishing US residence for US income and transfer tax purposes, they will be subject to the global application of the US income tax and taxation of their worldwide estate for US estate tax purposes. Before coming to the US, such a client should consider accelerating taxable income, postponing possible income tax deductions and engaging in other asset and trust transactions to limit or eliminate future US income and transfer tax risks. This is one of the most common issues we come across. Standing for Foreign Investment in Real Property Act, FIRPTA authorizes the IRS to collect taxes on real estate transactions carried out by foreigners. The IRS does so in several ways, including. Withholding tax: When the non-resident, non-citizen (NRNC) sells the property, any gain realized will be subject to tax, and the buyer must generally withhold 10% of the purchase price and remit it to the US government. Rental Property Income Tax: There is a general 30% withholding on rental income from US real property owned by the NRNC unless a treaty provision changes that or the NRNC elects to have the rental activity treated as a US trade or business subject to the US tax generally. There are strategies for mitigating this tax burden and we urge our readers to consult with a trusts and estates attorney and a CPA who is in expert in foreign tax matters. Bradley D. Magee practices law devoted to wills, trusts, estate planning, probate, taxation, business transactions, contracts and non-profits in Sarasota, FL. Mr. Magee became an attorney in 1983, a Certified Public Accountant in 1987, and is a former litigator for the Internal Revenue Service. He received a Juris Doctorate Degree and a Master of Taxation Degree from the University of Akron, and an LL.M. in Taxation Degree from the University of Florida Law School. He is a member of the Florida Bar in good standing since 1990. Wills – A legal document that sets forth your wishes regarding the distribution of your property and the care of any minor children. Trusts – A trust is a fiduciary arrangement that allows a third party, or trustee, to hold assets on behalf of a beneficiary or beneficiaries. Trusts can be arranged in many ways and can specify exactly how and when the assets pass to the beneficiaries. Durable Powers of Attorney – This is a power of attorney that will continue to be effective even if the grantor becomes incapacitated. Living Wills – A set of written instructions that a person gives that specify what actions should be taken for their health if they are no longer able to make decisions due to illness or incapacity. Health Care Surrogates – A health care surrogate is an adult who is appointed to make healthcare decisions for you when you become unable to make them for yourself. Pre-Need Declarations of Guardian – This document states your preference for a guardian of both you and your property if you should become incompetent to manage your own affairs. HIPAA Medical Release – This allows others to see your private medical data. MEDICAID Planning – The process of utilizing and protecting assets within state and federal guidelines, in the event of a costly, long-term nursing home stay or an extended at home stay. Bradley Magee can help Sarasota immigrants with all these documents. For more information please contact Mr. Magee: (941) 918-9894. 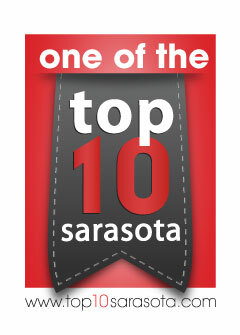 Sarasota immigrants include many area employers. They come to establish a subsidiary of their company, buy an existing business, or start a new company in order to live and work in the U.S. Regardless of the type of business they are running, Sarasota immigrant employers sometimes run into issues that require the assistance of an expert in employment law. We immigration attorneys are more than happy to assist with immigration matters but when it comes to employment law we sometimes refer our clients to Tracey Jaensch, managing partner at Ford Harrison in Tampa and Chris Jaensch’s sister. Ms. Jaensch’s practice focuses on defending employers in discrimination, harassment, wrongful termination and contract dispute litigation. She represents companies in a variety of industries, including health care, corrections, banking, hospitality and retail. 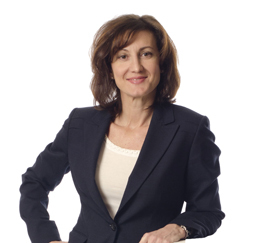 Ms. Jaensch’s specialty is complex litigation and trial work. She has tried numerous cases for clients and been lead defense attorney in multi-plaintiff discrimination lawsuits in Florida. She also has significant experience in executive level employment contract disputes, trade secret and whistle-blower suits. Ms. Jaensch prides herself on finding the best solution for her clients, whether that solution is a favorable settlement or defending a case through a successful jury verdict at trial. She is as comfortable trying a case as she is helping client’s avoid one in the first place through sound counseling and advice on contract negotiations, mergers/acquisitions and day-to-day employment issues. Ms. Jaensch serves on her firm’s Health Care Practice Group Committee. She also serves as the Chair of the Florida Diversity Council. She is Board Certified as an Expert in Labor and Employment. Defended a national staffing company in jury trial of a retaliation case. Represented a hospital in a multi-count complex sexual harassment, retaliation and tort claim through trial. Represented numerous corrections industry clients in Florida against race, retaliation, whistle-blower and harassment claims. Represented nationwide healthcare client in state court in Las Vegas, Nevada on a 15-count complaint. Served as lead defense counsel in 15-plaintiff race, retaliation, and collective FLSA action for national client. “Florida Super Lawyers” recognized 2006 – 2013 by Law & Politics magazine,New York Times and Tampa Bay magazine. Feel free to contact Tracey Jaensch with your employment law questions. Her email is: TJAENSCH@Fordharrison.com. Sarasota immigrants who invest in a franchise may be able to qualify for an investor visa (here’s a video with more information on qualifying for an investor visa). However, many of these immigrants are not sure what type of business they want to run. Vince Otrusina can help. Mr. Otrusina is a franchise consultant with Franchise Helpers, LLC. He helps people find the right franchise for them – “matchmaking,” as he calls it. Mr. Otrusina can match an immigrant investor with a wide variety of franchises from Aamco™ to FastSigns™ to SportClips™ and more. As he puts it, what matters more than the name of the franchise is matching the buyer’s skill sets with the requirements of the work involved. Certain investors might want a franchise with a well-known name but the work involved may not fit well with their lifestyle. Mr. Otrusina makes buyers aware of what is entailed with certain franchises and, once he understands the buyer’s profile, advises them on which franchises would fit best with their lifestyle and skill sets. “A common mistake made by franchise seekers is to focus on the product or service of the franchise instead of the business model and its characteristics,” he says. Mr. Otrusina spends extensive amounts of time educating immigrant investors on the franchising process. He ensures that investors are aware of all the factors they should consider when buying a franchise so they can perform their due diligence effectively. He spends 3-4 hours educating his clients on the process, urging them to investigate whether there are any lawsuits against the franchisor and to comb over the financial information. Mr. Otrusina cautions that franchises are not simply bought, they are awarded. He confides that he often advises immigrant investors to look at other franchise opportunities than the one they were first interested in. He emphasizes that matching one’s professional profile, the financial strength of the franchisor, and the demands of its day-to-day operation are more important than personal shopping preferences and tastes. Immigrant investors can find Mr. Otrusina through his website: http://www.franchisehelpers.net/, or his email: vinceo@franchisehelpers.com.